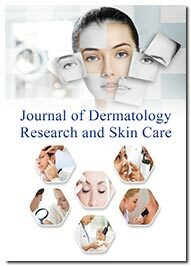 Journal of Dermatology Research and Skin Care is a peer reviewed open access journal that dwells at length on the clinical and medical aspects of skincare by showcasing the latest research advancements in this field. Aims and Scope The journal aims to publish the most advanced and original research as research articles, review articles, case reports, short communications, commentaries, images, video articles, etc. in all areas of the dermatology and skincare and provides free online access to it globally. The journal tries to meet the research needs of aspiring researchers and scientists throughout the world on a wide range of topics including, Cosmetic dermatology, Dermatopathology, Immunodermatology, Pediatric dermatology, Teledermatology, Dermatoepidemiology, Stoma, Wound healing, Radiation, Acne, pruritus, cosmetic resurfacing, photodynamic therapy, Nutricosmetics, Skin disorders, Allergic reaction, Body louse, Scabies, Environmental and allergic. All the Submitted articles are subjected to thorough peer review prior to their publication in order to maintain the quality and significance of the journal. The published articles are made freely and permanently accessible online immediately upon publication, thus improving the citations for the authors in attaining impressive impact factor.